Clean facilites are more inviting to customers. Clean shopping facilities help you create great customer experiences. Achieving the highest level of cleanliness in your facility helps assure customer comfort and drives repeat business. 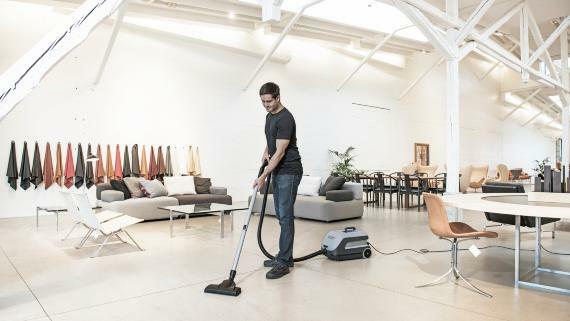 With our service offerings and broad product portfolio, you can optimize your cleaning and reduce downtime with quiet, unobtrusive machines that allow for daytime cleaning. 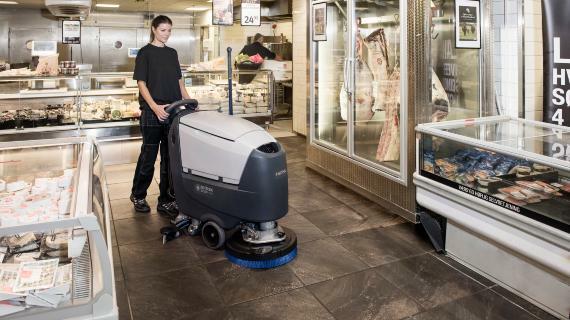 Our cleaning machines deliver superior performance, improving the cleanliness of your facilities while reducing the labor and resources required. 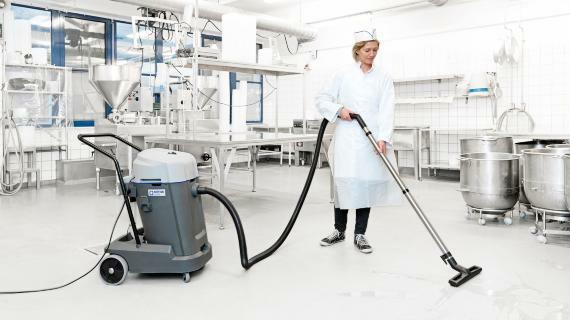 Nilfisk floor and surface cleaning equipment is designed to make your facilities more sanitary and your cleaning practices more productive. Our environmentally-sound cleaning solutions improve cleanliness with fewer chemicals and less labor and significantly increase customer and staff comfort. Quick and efficient cleaning solutions that enhance your reputation are all part of our commitment to provide you with superior v​alue, reliability and efficiency in everything we make and everything we do. Clean, fresh-looking facilities deliver the best impression and customer experience. 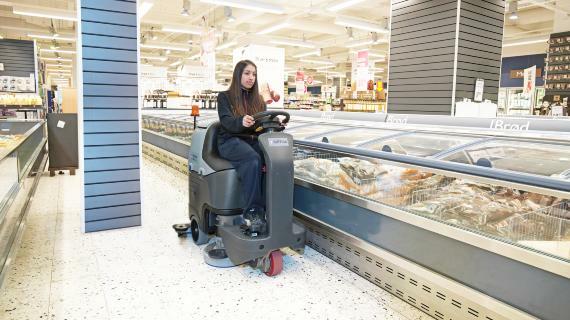 Nilfisk can help you improve the cleanliness of your busy supermarket with specific professional cleaning solutions in each area of the store – from sales floors to food halls to outdoor areas and parking. Many supermarkets have bakeries, meat counters and fish stands. When you prepare and sell food for many customers every day, it is important to maintain high hygiene standards in the kitchens. As the seasons change, areas outside supermarkets must be kept clean in order to ensure a good first impression and protect your infrastructure. Nilfisk provides a full range of efficient utility machines for outdoor cleaning and maintenance – versatile solutions for sweeping, removing snow, outdoor washing or moving lawns. With heavy footfall from customers many hours a day, your store may require continuous daytime cleaning. Clean facilities create the best impression and improve customer experience. 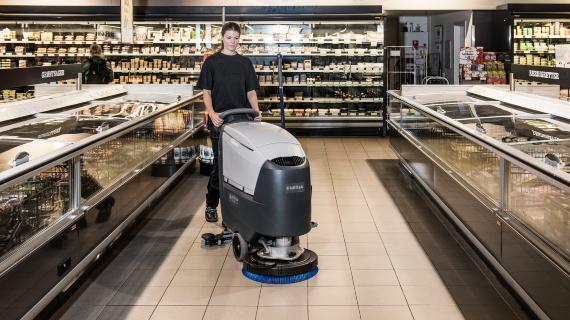 Nilfisk can help you maintain the cleanliness of your busy store with specific professional cleaning solutions for each area – everything from special approaches to different floor types to products designed for outdoors. Innovative technology and ease of use make our lines of automatic scrubbers and burnishers effective and efficient. Our machines use fewer chemicals and detergents, improving indoor air quality and safety for customers and staff. 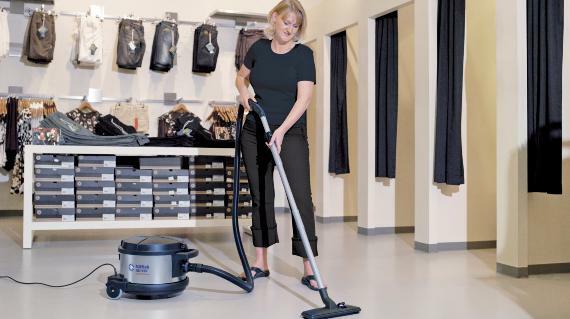 Nilfisk’s products are designed to clean as quietly as possible in order to provide a pleasant customer experience. We can provide a floor care solution that assures the high standard of hygiene and disinfection you require. In convenience stores where you can buy groceries, snack foods and beverages it is important to maintain high hygiene standards. 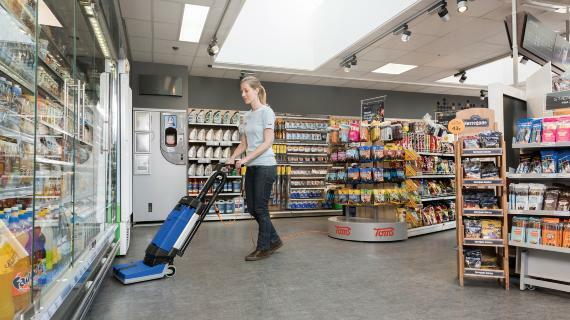 Nilfisk’s cleaning machines deliver superior performance without sacrificing productivity – leaving the convenience stores clean, safe and ready to use. As the seasons change, areas outside the stores must be kept clean in order to ensure a good first impression and protect your infrastructure. 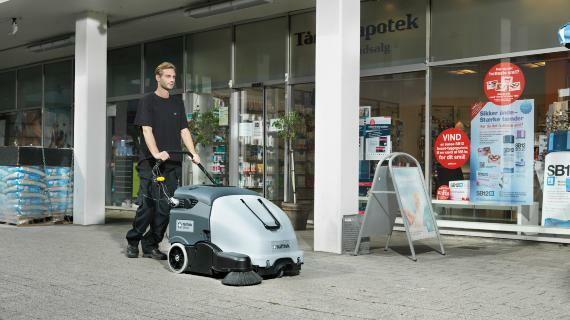 Nilfisk provides a full range of efficient utility machines for outdoor cleaning and maintenance. We offer versatile solutions for sweeping, snow removal, and outdoor washing.